The opera world is reeling from the unexpected death of soprano Daniela Dessì at age 59. I regret that Ms. Dessì did not receive much coverage in the pages of Taminophile. To partially rectify that grave error, I offer a few stunning videos here. 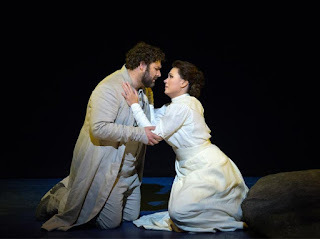 Taminophile has returned from his illness-induced hiatus (much better, thank you, but I still get worn out very easily) to witness live opera and report about it again. I hope this fills your heart with joy. It does mine. Who better as my first victim feature out of the gate than dear dell'Arte Opera Ensemble? 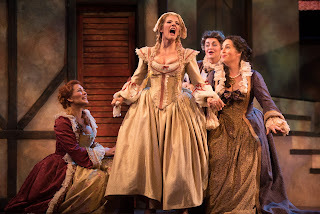 I've often written of my great passion for opera production at this level--young professionals just breaking into the opera world--and I've written about dell'Arte's great work in training and producing opera that never fails to engage, even on a shoe-string budget. 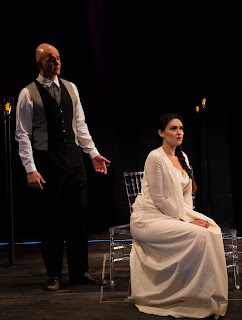 dell'Arte usually has a theme in programming a season, and this season it is "Violetta and Her Sisters", a look at the demimonde of 19th-century Paris. The first offering was La Traviata. I was delighted to see a performance of this grand work on Sunday. As it was the second performance, I saw Cast B. It hurts me that expediency often demands such labels. 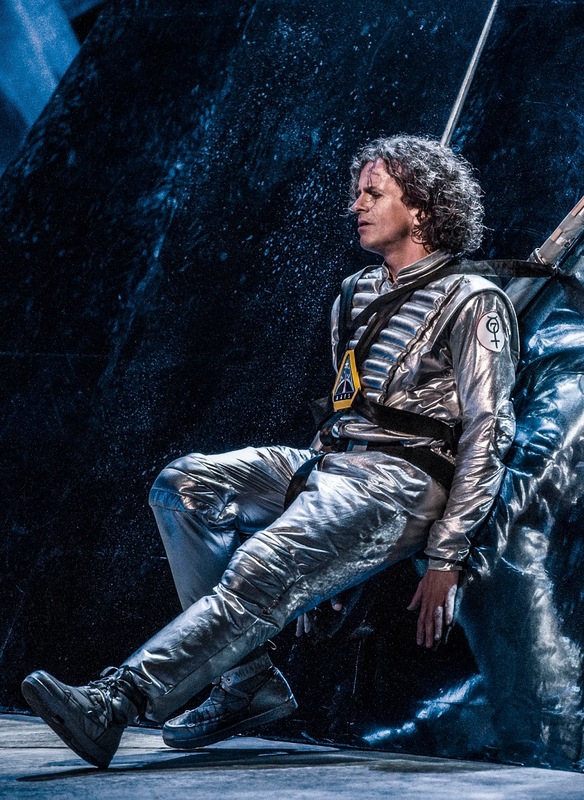 I can assure you, this cast could not possibly be the poor relation to any Cast A. I heard good things from every singer, and was impressed by the commitment of the entire cast to the story. If I see and hear a performance of La Traviata and I'm not gushing about the Violetta, I don't call it a successful production. Consider this production very successful, then, because I was crazy about the Violetta of Margaret Newcomb. Miss Newcomb is beautiful in face and figure, and has a very strong stage presence. 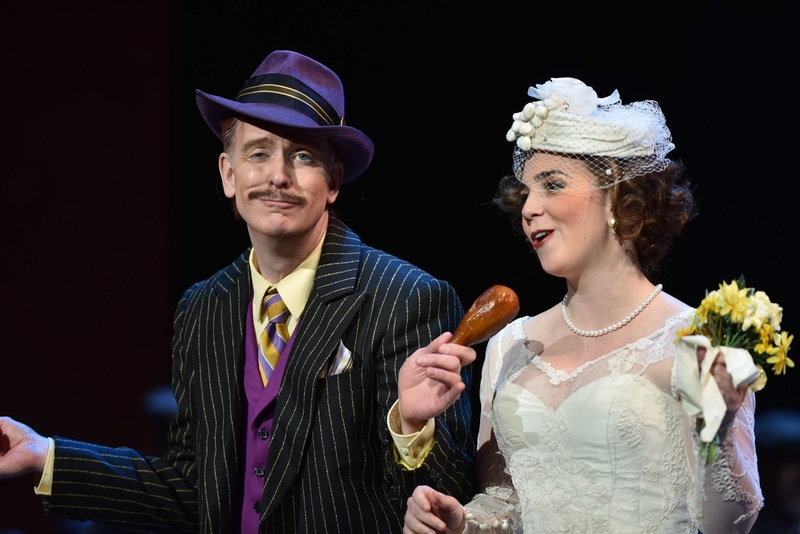 Most importantly, she can sing this fiendishly difficult role and make it seem like it's easy. Her high notes seemed free, her coloratura unforced, her middle voice rich and beautiful. I hope I'll hear a lot from this singer in coming seasons. Jeremy Brauner is transitioning from baritone to tenor, and Alfredo in this production is his first tenor engagement. I think that's a good thing, for the role seems to fit his voice, and he certainly inhabited the role of Alfredo well. He even took the high C at the end of the cabaletta "O mio rimorso" (definitely not among Verdi's best cabalettas, in my humble opinion). I look forward to seeing and hearing more good things from him. 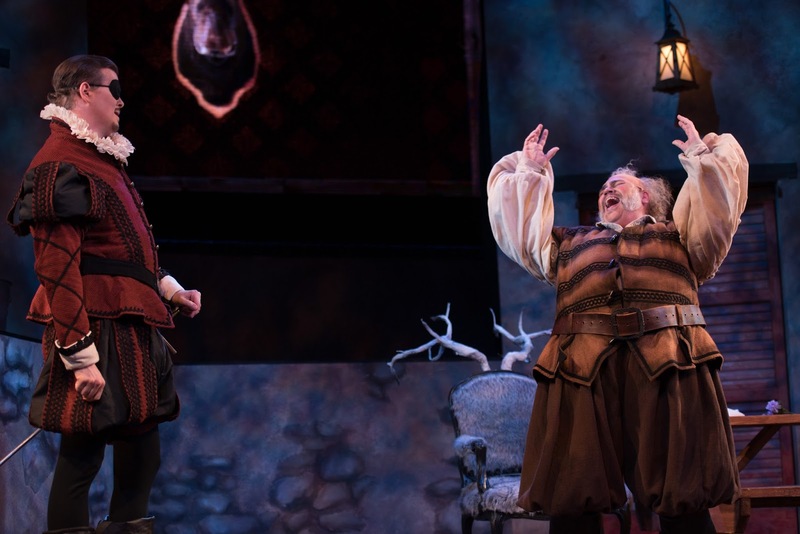 Like Mr. Brauner, Paul Khoury as the elder Germont seemed to require a bit of time onstage to warm up vocally and dramatically. He never did seem fully warmed up, however, which proved a distraction. 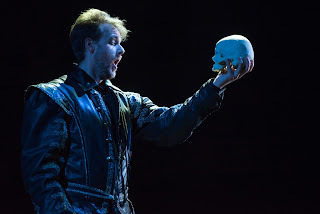 Smaller roles were populated by eager and able younger dell'Arte artists, many of whom I'd love to hear again in the future, especially Nick Webb (Dr. Grenvil), Magda Gartner (Flora), and Natasha Nelson (Annina). 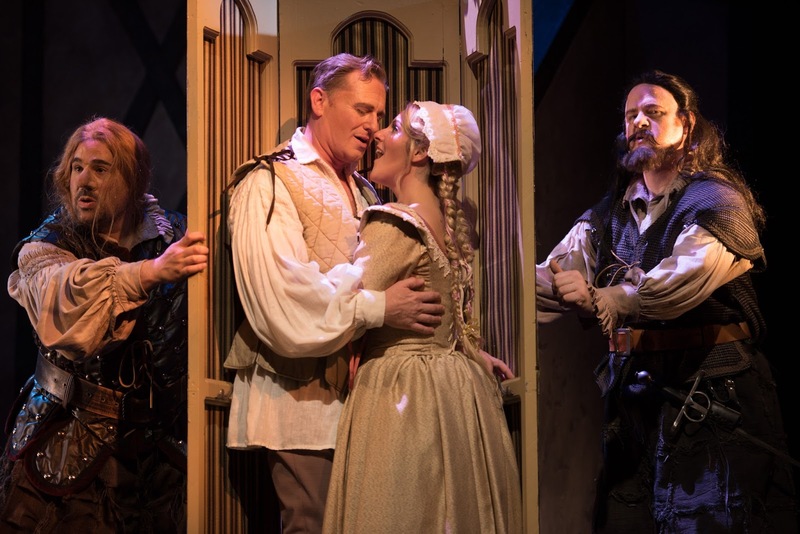 The technical and creative team deserve kudos for the beautiful production--especially Stage Director Kyle Pfortmillr, Scenic Designer James Fluhr, and Lighting Designer Mary Ellen Stebbins. Many a truly striking visual image was struck with a very simple set and lighting that seemed not terribly elaborate but truly effective. 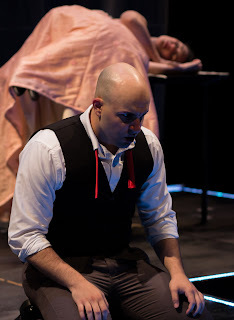 One of my favorite visual touches was a vase on a small table that remained on stage through every scene. It began the show with several camellias, but Violetta drew one camellia for each scene as a token of her love, leaving the vase (and Violetta?) empty at the end. John Spencer led a small orchestra, and they usually played very well. One suspected more rehearsal might have done a lot of good. 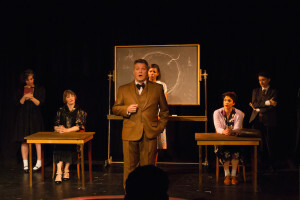 There are more performances next weekend, and I highly recommend you see one if you can! dell'Arte also presents Massanet's Manon as part of its summer festival, as well as several concerts. We've lost another mid 20th-century opera great. Reports are circulating that Patrice Munsel died last week, although the Wikipedia article I link above does not reflect that as of this writing, and other news outlets' web sites do not confirm this. 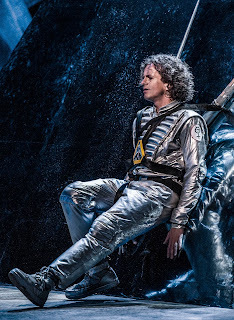 If we were to judge a book by its cover, it would be easy to think that Tim Carter’s Understanding Italian Opera is simply another introduction to the beautiful art form. 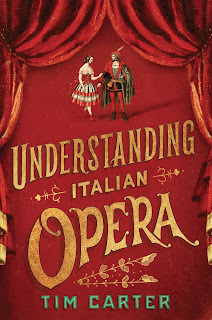 Look a little deeper though, and it becomes apparent that this book is instead an analysis of one of the most overlooked aspects of Italian opera today: the text. Although sleek in size, this book is essentially a textbook that has much to offer when it comes to studying the librettos of Italian opera. The book begins with a discussion of Italian opera at large. It is worth taking the time to consider this introduction, as it sets up Carter’s thought process for the rest of the book. Then, five famous Italian operas are discussed at length and in chronological order. Each chapter can stand on its own, and each has the same basic outline. First, a picture is offered of the composer, along with a brief description. Then, the roles in the opera are listed along with their voice types, and a synopsis is given. Afterwards, he gives a biography for the composer, focusing on the creation of the opera at hand. This historical review often details the musical tastes of the time period as well. Finally, the librettist is introduced and Carter launches into the textual mechanics for each opera. He usually divides this discussion even further into musical numbers such as arias, ensembles, or recitatives. At the end, further reading is recommended. The main idea that Carter focuses on in terms of setting texts to opera is that of balance. For example, for Le nozze di Figaro, he discusses the balance the composer and librettist sought to find between the original text they were working with, and how they can appropriately adapt that into an opera. Furthermore, the concept of “verisimilitude”, or the appearance of stories being real, is brought up over and over again in each section. 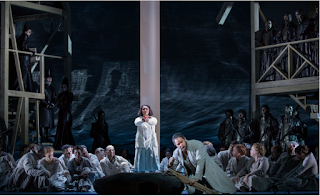 This is with good reason, as the issue of believability is a constant struggle for opera as an art form. In terms of enjoying this book, it is best read in a number of ways by a certain set of readers. 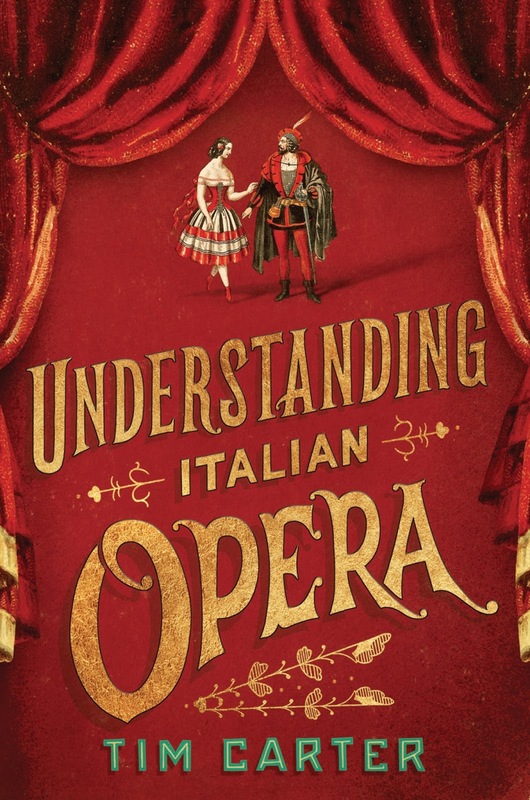 While those who are merely curious about opera would find this overwhelming, serious students or professionals of Italian opera have much to gain from this book. Simply reading it through may still prove difficult though, as it is far too easy to miss a nuanced yet important detail. This reviewer would recommend reading this book in one of three ways. First, one could read this with study materials in hand such as a notebook, a highlighter, and a recording of each opera. Although Carter goes into great detail regarding the relationship between text and music, it will always be easier to process this discussion while actually listening to the music. 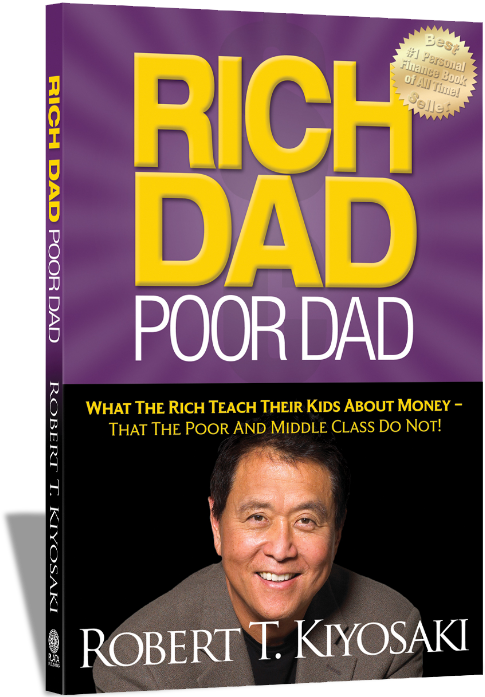 Second, this book could simply serve as a reference to be opened up as needed. If, for example, someone was doing research on Italian recitative, or aria forms, or a particular period in Italian opera, they could simply flip to the appropriate chapter, or find the subject in the index. Finally, this book would serve its reader best as a companion to a course or a group discussion on Italian opera. Since there is so much useful knowledge in this book, it would be easiest to digest it all through the structure of a course. It would also be worth using as a tool to discuss the role text and history plays in modern operatic productions. There are numerous books available on the study of Italian opera. This one, however, offers great consideration to what has ironically become the lost language of opera: the language itself. In Tim Carter’s biography, it notes that he teaches numerous lectures and workshops on the subject. Since we can’t all be so lucky as to attend one of those, he has been kind enough to offer us his specific and unique knowledge in a well-organized and readily available manner. I've never made a secret of the fact I'm a bel canto bear and don't always understand new music. Much of it I find beautiful and moving. I still can't talk about Jake Heggie's Dead ManWalking without getting misty, for instance. (I know it's almost ancient, having been premiered in 2000, but it's new music to me.) 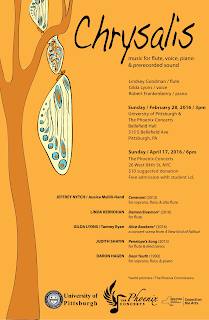 Nonetheless I was pleased to be invited twice to a concert on Sunday afternoon of new music for flute and soprano. 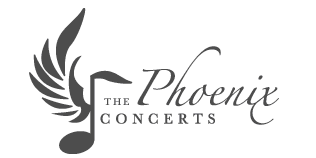 First by the composer of one of the pieces on the concert, a longtime friend, and second by a member of the board of the organization that presented the concert, The Phoenix Concerts. 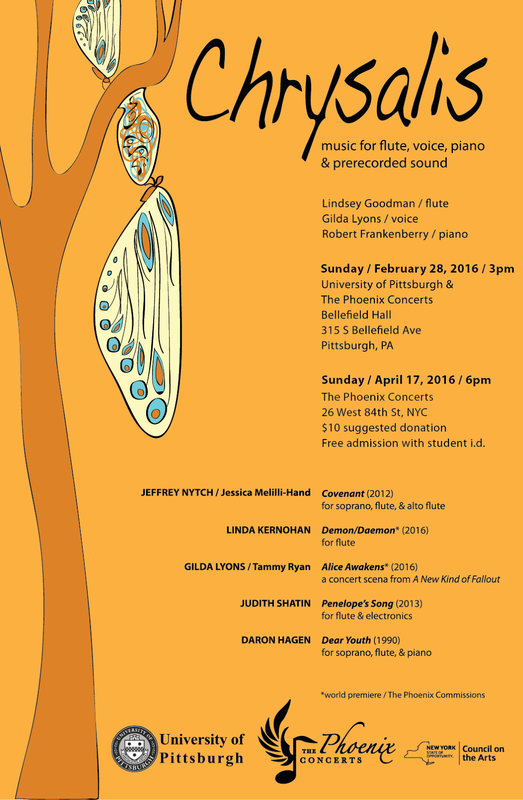 The concert itself was to celebrate the release of a new CD by Lindsey Goodman, flute, and Gilda Lyons, soprano. Gilda Lyons was also one of the composers represented on the concert. I can't talk about every piece, of course, but I'll mention a few. The first was Jeffrey Nytch's Covenant (2012), for soprano, flute, and alto flute. Text is from a moving poem by Jessica Melilli-Hand called Wedding Poem. The poem uses moments of normal, every day intimacy to portray a truly loving relationship: "Do you understand? 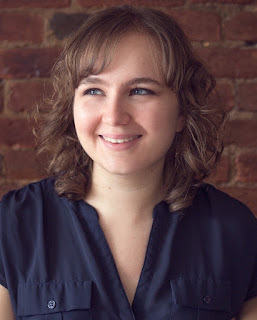 I'm trying/to open my mouth around a language/better suited for fingers." I enjoyed how the alto flute alternated between being a drone and having a weaving melody that intermingled with those of the flute and the soprano. The excerpts from Dear Youth (1990) by Daron Hagen were particularly effective. Mr Hagen is a Civil War buff, and the texts for these songs come from the letters of women of the era. One of them reads, "This is Christmas night and I am all alone and lonely.... I hope this awful war will soon close and we will be happy once more." These songs were commissioned and premiered in 1991 by the trio Sonus. Penelope's Song by Judith Shatin is a tribute to Penelope, Queen of Ithaca and wife of Odysseus in Homer's epic The Odyssey. Odysseus was kept away at sea for 20 years, and one of Penelope's ruses to ward of unwelcome suitors was to make them wait until she had finished weaving a shroud for her father in law Laertes. The suitors never knew she unraveled by night all the work she had done during the day. The composer recorded the sounds of actual weaving on a loom, and electronically manipulated them in many ways to make the wide array of weaving sounds with which the flute enjoys play. Once again, I know almost nothing about new music, but I found something to enjoy about every piece on this concert. I'd highly recommend the CD, too! 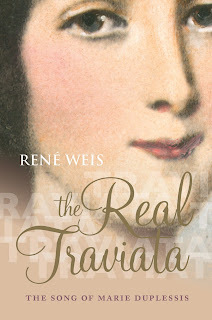 I got a message from a lovely marketing diva at Oxford University Press, asking me to share information about two newly published books my readers might find interesting: Understanding Italian Opera by Tim Carter and The Real Traviata: The Song of Marie Duplessis by Rene Weis. Your faithful reporter has no time to review books, so I am offering a review copy of either in exchange for posting your guest review of the book in these pages. 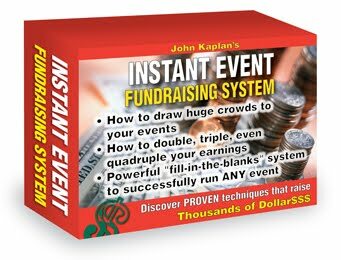 Send me a message privately telling me of your interest, and I'll arrange with the marketing diva to get you a copy. Tell me in either the form of a Haiku or in a 140-byte tweet about your very first live opera. Guest reviewers and/or contest winners will be chosen by me. There is nothing random or objective about this contest, and gifts of cash or liquor might--might--increase your chances of winning. Gifts of real estate would definitely increase your chances of winning. I was a big fan of Jerry Hadley, and I was very sad indeed when the poor lad took his own life in 2007. In this recording, made around 2002 or perhaps a little earlier, I assume, , he talks about what is missing in the teaching of singing nowadays. I have to say I think he's right in nearly everything he says. FREE admission with student I.D. out this month on New Dynamic Records. On Friday evening I saw the opening of New Orleans Opera's lush and luscious Tosca at the Mahalia Jackson Theater in New Orleans. (I just love that the theater is named after a gospel superstar!) Yes, I've hit the road once again to see and hear some opera, and it was well worth it! 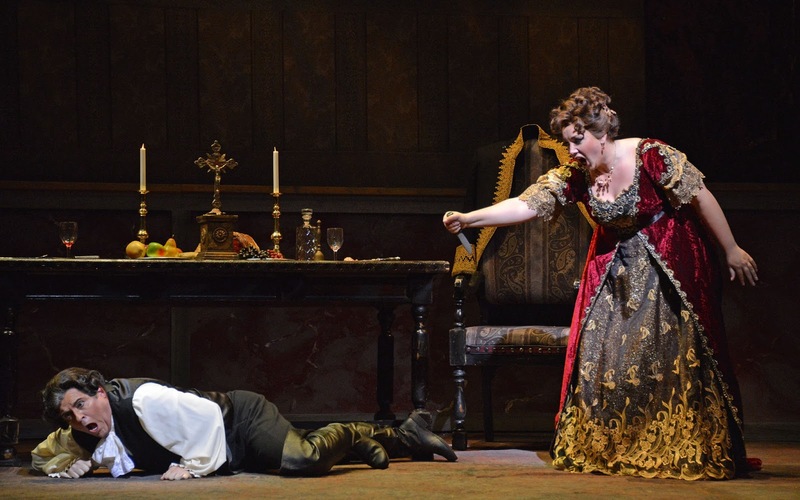 Tosca is a story of political intrigue, murder, lust, and a jealous soprano. (No, really, this is on stage, not in the wings.) A Parisian critic wrote after its 1900 opening that Tosca “is coarsely puerile, pretentious and vapid.” (The popular phrase “shabby little shocker” actually comes from musicologist Joseph Kerman’s 1956 book Opera as Drama, not from Puccini’s time, as I’d always thought.) Puerile or not, Tosca can always be counted on to sell tickets, and audiences leave humming its melodies. When done well, Tosca can be devastating. This Tosca truly was devastating, largely due to the singing and acting of its star, Jennifer Rowley. Her Tosca was jealous, of course, but also impetuous, loving, fearful, dominant, and a thousand other conflicting traits, often at the same time. This Tosca felt like the very young woman Tosca really is. For example, at the end of Act II, after Tosca has killed Scarpia (sorry if that's a spoiler), the act of setting up candles around his body and making the sign of the cross has a truly devout feeling to it, not ironic. Nearly every vocal moment was like spun gold, with a rich sound and a legato worthy of the golden-age singers of the mid-20th century. 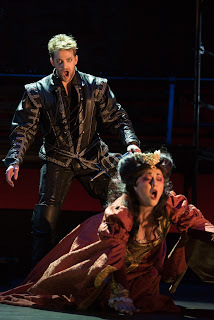 I have never heard or seen a more effective "Vissi d'arte"--we could feel Tosca's defeat and humiliation, along with her determination to survive. Miss Rowley's vocalism in this aria was exceptional--well shaped phrases, tasteful dynamics, rich sound. 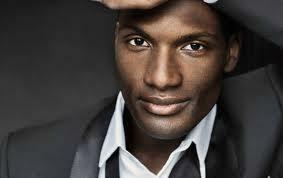 Cavaradossi, Tosca's lover, was sung by Noah Stewart, a handsome young tenor with an impressive list of credits. 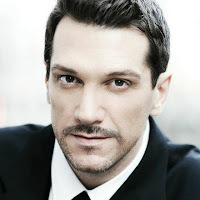 I found his singing quite likable, especially his ringing high voice. 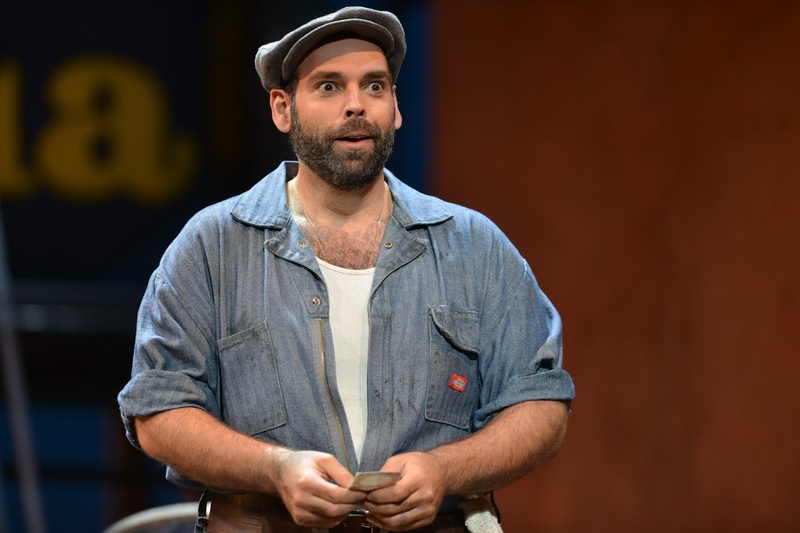 His high notes sounded free, powerful, and pleasing in timbre--a rare combination among today's Cavaradossi-sized voices. "Vittoria! Vittoria!" sent chills down the spine. His acting was passionate and convincing. Scarpia was Scott Hendricks, another handsome young man with an impressive list of credits. His singing was bold and effective, and one looks forward to hearing more of him in the future. 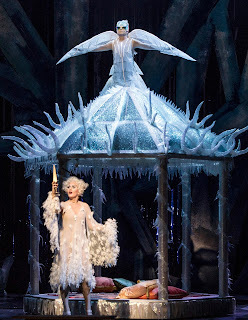 Visually, this opera was a treat. The scenic design by Constantine Kritikos was quite beautiful, especially the Act I chapel scene. Acts II and III were quite effective, too. However, the moment in Act II where closing the window ends the cantata is less effective without an actual window. On the left side of the house no window was visible. The costumes by Julie Winn were rich and beautiful, especially Tosca's dresses. Although wigs and makeup by Don & Linda Guillot were usually good, they didn't flatter Mr. Stewart as much as they did the other singers. In the dark lighting of Act III, he almost looked like a zombie. The Louisiana Philharmonic Orchestra played well under Robert Lyall, but one wished for more togetherness between the pit and the stage. I regret that there is only one more performance of Tosca, but I encourage anyone who reads this before Sunday afternoon to see it. 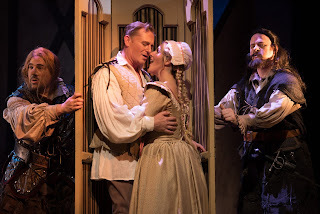 The Southern Illinois Music Festival, now in its 12th season, will present Rossini's final opera, William Tell, sung in French with projected English supertitles, at the Marion Cultural and Civic Center June 7, 8, 10 and 11. This opera has only been produced in the United States in its entirety three times in the last century, so this is an historic event. Most people know William Tell's famous overture (with its Lone Ranger theme), but the opera is full of beautiful arias, stirring ensembles and rousing choruses. 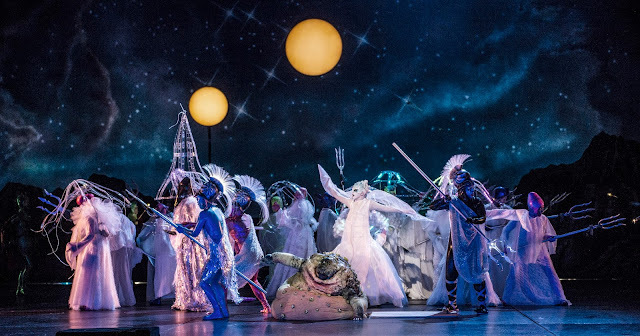 This production is set in 1776, to coincide with Washington crossing the Delaware, on this 240th anniversary of our Independence, and also includes all the original ballet music. 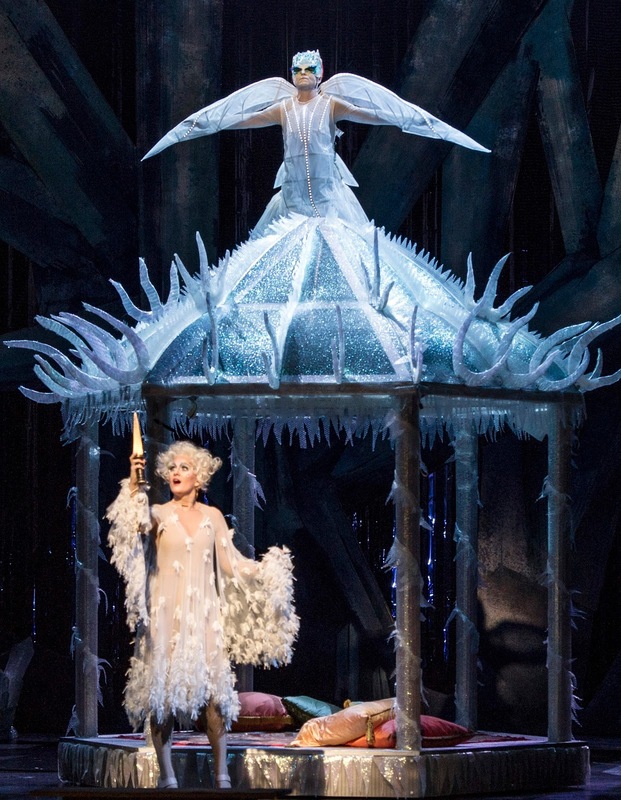 The entire opera is presented twice over two nights, June 7/8 and June 10/11. Separate admission is required each night. 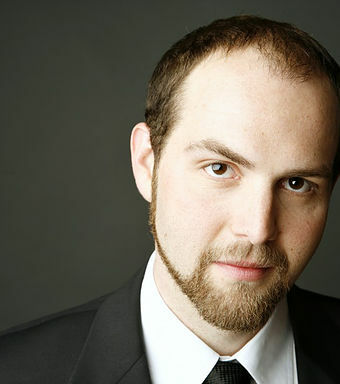 Josh Shaw, Director of the Pacific Opera Project in Los Angeles, directs the production, which stars internationally recognized singers including Wes Mason, in the title role, and William Davenport, singing one of the most demanding Tenor roles in the repertoire. 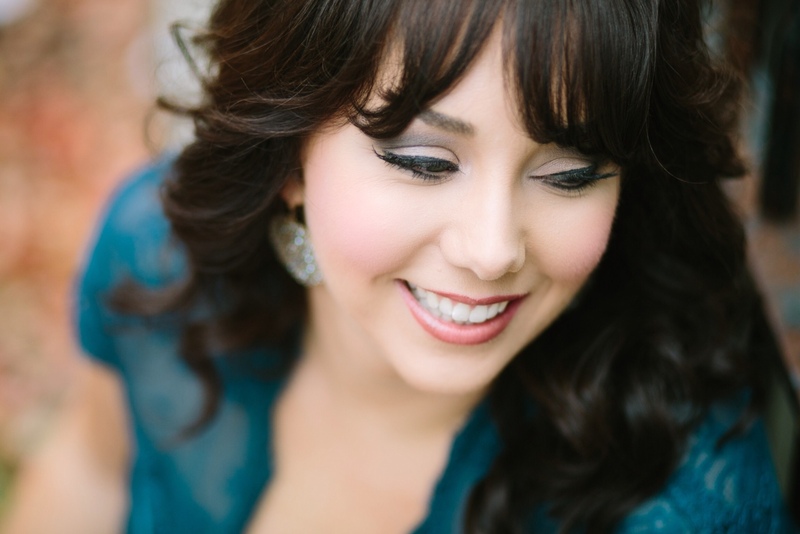 Other professional lead singers come from New York to Los Angeles and points in between, along with a 40 voice chorus, 20 member ballet company, and the fabulous Southern Illinois Music Festival Orchestra, under the musical direction of Edward Benyas. 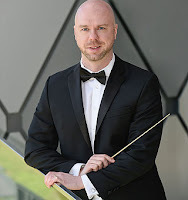 The Festival Orchestra will also perform a grand orchestral program of Bach, Beethoven and Brahms, including the “Eroica” Symphony and the Double Concerto for Violin, Cello and Orchestra, featuring violinist, Michael Barta and cellist, Eric Lenz. The Festival will also present music by Mozart from 1776, including his three great violin concerti, the concerto for three pianos, the Serenata Notturno and the “Paris” Symphony. Mark your calendars for May 31 through June 12, 2016. 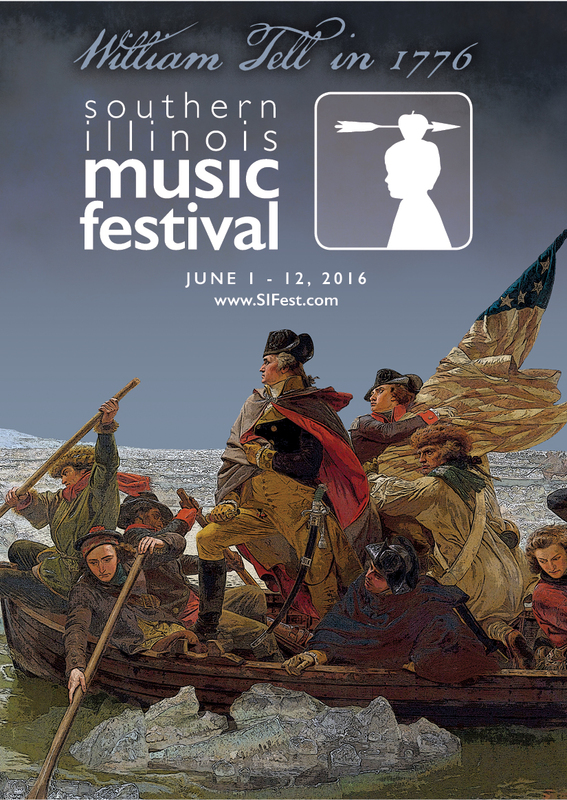 The Southern Illinois Music Festival presents three-dozen professional performances of classical music and jazz in two dozen venues throughout Southern Illinois each June. The Festival has been nationally recognized in Symphony magazine, the premiere publication for American orchestras; by the Chicago Tribune Travel section as one of 24 top summer activities (musical and otherwise) in an eight-state region; and by AAA Midwest magazine as a Midwest Travel Treasure.